On the pair of Kubota (KUB) v Nippon Telegraph & Telephone (NTT), I closed half of the position with a 17.2% gain and the remaining half has a 22.7% gain. 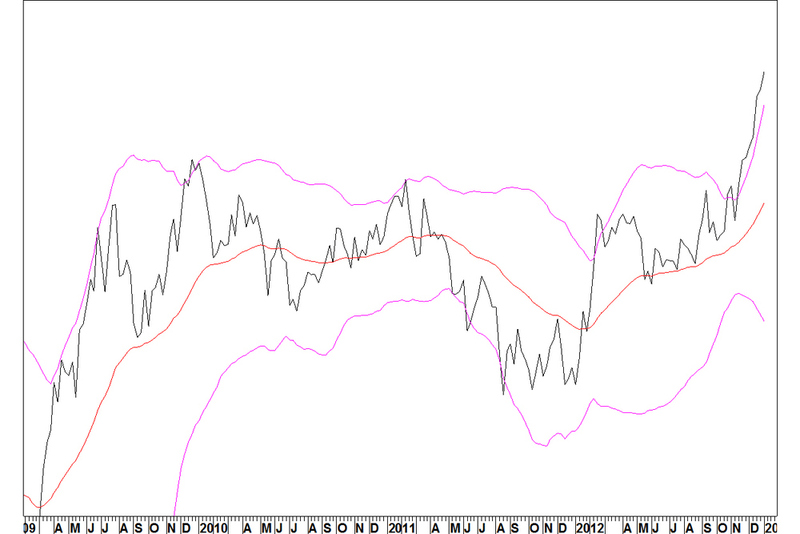 This pair was based on the expectation of Yen weakness and now, the Yen is oversold against all currencies. Therefore, it makes sense to close the position. The chart shows the 50 week moving average (exponential) and below it, the percentage that the price is above or below this moving average. Now, the DI stands at 9.4%. DI peaks have come at around 10%, not always exactly with price peaks with little further gain. 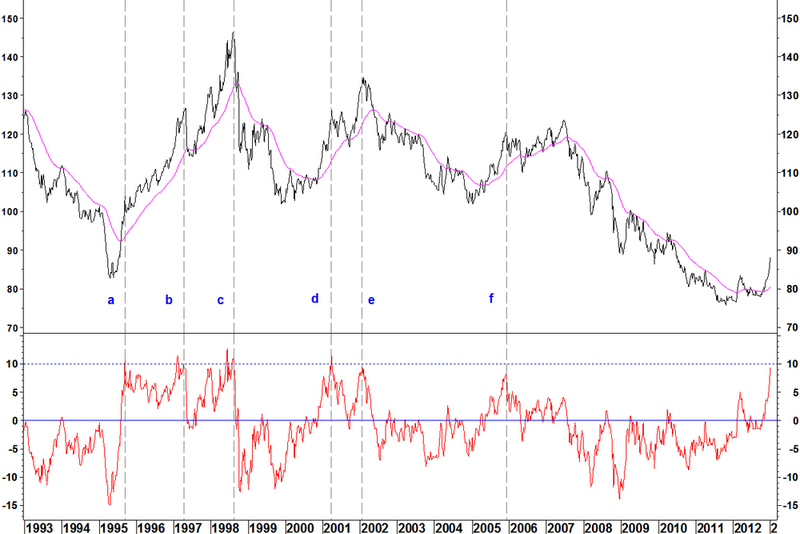 Even in 1995, at the start of a sustained uptrend, it can take months for price to unwind from overbought. If a long term uptrend is starting now, a pull back towards the 50 week moving average could take many months. On balance, it is best to close the KUB v NTT position now with a 20% gain overall. Yen weakness trade ideas can be revisited once the currency extension has unwound, if they meet my entry criteria.